« Smile, though you want to shove your fist through their skull. My toddler daughter runs screaming from the room when Yo Gabba Gabba comes on. She has taken a sudden interest in my collection of Calvin and Hobbes books. Of course, she also rules the house with an iron fist clenching a naked Barbie and has been known to make her older brother cry by smacking him with a fly swatter. So, I break even? 2. The Pittsburgh Comet has burned out as Bram walks away from his politics blog. Here’s hoping he comes back soon. 3. Jim Lokay is taking over the Does it Really Do That?! consumer reporting on KDKA, a role formerly filled by the late, great Yvonne Zanos. I think Jim will do a fantastic job, particularly because he realizes something very important. Tonight, he’s testing the Twin Draft Guard. I have one in my kitchen, and from my experience, IT TOTALLY DOES THAT! 4. Here’s a question … how does Rob Owen decide when to shorten “going to” to “gonna” when quoting someone? Does he listen for a specific lack of a break between the two words? And will he soon decide if someone said “Did you” or “Didja?” I can’t wait until the word “prolly” shows up in the newspaper. 5. Heinz unveiled a new ketchup packet today that’s bigger and allows you to dip, rather than squeeze. Whoa. I haven’t gone there in ages. Anyways, the size of the old packets? Who uses such a small spit of ketchup other than maybe Jerry Mouse? This new packet is much better and now if we can just convince the sugar-substitute packet makers to double the amount in their packets, we could probably save a rain forest of trees. Look at me, being all earthy. You’re welcome, Earth. 6. Reader Sara, a mother of four, is shaving her head for St. Baldrick’s while raising money to fight childhood cancer. She has raised over $500 toward her $5,000 goal. Go check her page out and read why she decided to shave her head and be sure to browse through some of the adorable kids she’s doing this for. If you can, why not contribute a few dollars to her goal? 7. The European owners of Sandcastle and Kennywood hate America. Terrorists. Okay, that’s oversimplification, but seriously, Sandcastle is standing in the way of the Great Allegheny Bike Passage. Grace said the woman had a scarf wrapped around the lower half of her face, so she wasn’t able to get a good description of her attacker. But she told Cipriani the woman had “evil” in her eyes. Well, with the only descriptor being THAT, I don’t think the composite artist is going to have much luck. But still, take a lesson. Evil responds to being beaten by a loaf of bread. The new ketchup packet news made my day. 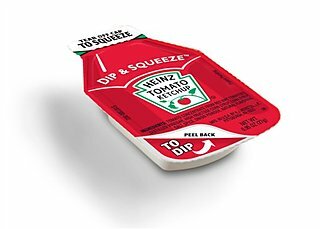 I was just eating french fries the other day, squeezing 8 packets of ketchup just to get a “dippable” amount and thought to myself “seriously, why have they not decided to make these things bigger yet? 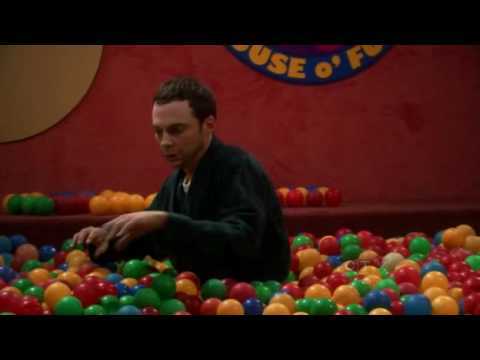 Calvin and Hobbes, Glee and Bazinga?! She’s a genius. And I want those packets down here in Atlanta. I solved the ketchup problem by never NEVER allowing anyone to eat in my car. NEVER. solved. #7 Good for Grace. She could play corner back for the Steelers? I have managed to convince the short terrorist in my life that ketchup can’t exist in the car. “Sorry, the ketchup doesn’t work in the car!” I tell her. She may be an evil genius, but she hasn’t yet thought to question me on it. Don’t you dare tell her otherwise. Oh thank goodness…I thought I was the only crazy who did that whole little line of ketchup, reach over the seat thing for a kid on a road trip. It never was enough…and then it would be too much. Thank you, Heinz! Now maybe I can make it past Breezewood before having a complete meltdown over something other than food. C’mon, Ginny, clearly the purse-snatcher was a pigeon. Two thumbs up for the Twin Draft Guard, I think it’s the only thing I’ve ever bought from a TV commercial. listening to glee2 much? us, too…kiddos love it! i just commented to coworkers today about the amount of sweetner is shrinking, so just make the packets smaller, too…weird…and of course, praise the ketchup gods….genius. Doesn’t everyone eat ketchup this way? The little packs only last about three fries for me. French fries were invented because it’s socially unacceptable to drink ketchup straight from the bottle. You know the little paper cups you could put the ketchup into if you ate in the fast food restaurants? My niece used to lick the ketchup out of them when she was a little girl. I don’t remember if she actually dipped her fries into the ketchup or not. what about Jamie & Ali???? they are back in Hati, are they not???? no collections???? are things much better there now???? or did the fame wane? YAY for “dip” ketchup packets. I, too, have passed ketchup lined fries from the front seat to the back seat hoping that it doesn’t smear all over my interior or that I don’t cause a 50 car pile up on the turnpike. Sandcastle could turn the trail headaches into a positive for their business – let the trail pave a patch along the river, and you set up some snack and water/gatorade stands. I know I’d stop after coming down from Station Square. Just about anything would be an upgrade from the turnaround they have now… breathe in that refreshing construction yard air! Here’s a weird question that I haven’t seen answered anywhere. As I understand it, the only ketchup product that Heinz actually manufactures in Pittsburgh these days are the packets. All the bottled ketchup products are made somewhere else. Will these new packets still be manufactured in Pittsburgh? It doesn’t look like they are discontinuing the old packets (yet). It just made me wonder if this new technology will make Heinz ketchup go the way of the Clark Bar. 1. I hope she keeps the Calvin & Hobbes books away from the ketchup! 2. Maybe if Mayor Skippy-stahl and Chief Executive Knuckleheadorato duke it out (just for the hell of it) on Ross Ave, that’ll give a reason for the Comet to come back… if not then to officiate the exchange of vows between the two. 3. While NO ONE will ever fill Ms. Zanos’ shoes, I think Mr. Lokay is an excellent choice to assume that role. 5. Keep the ketchup away from the Calvin & Hobbes books… and no eating in my car either! And the Earth thanks YOU! 6. What a great cause… honey, grab my checkbook! 7. Don’t they realize that Sandcastle, on average, spends 1/8 of the winter months under water? Regarding Jim’s use of “gonna” in Rob’s story… I tend to clean up people’s poor choice of words like that. It’s just…. ick. Yvonne Zanos died? Where the hell have I been?!? I want them to do the ShamWOW!